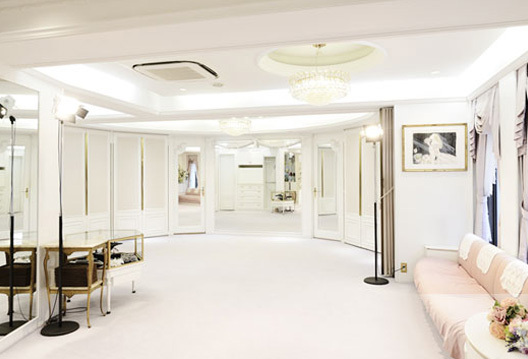 Yumi Katsura Bridal House Tokyo in Minamiaoyama is operated directly by Yumi Katsura, the brightest luminary in Japan’s bridal industry. 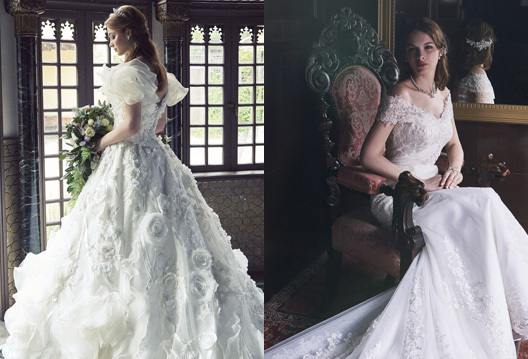 You can find everything related to weddings –from wedding gowns that fascinate brides from around the world to kimonos and formal wear for men, guests, and the relatives of the bride and groom. We also arrange photo shoot and wedding packages inspired by “The First Class Wedding” theme. Please visit to give us the opportunity to make your wedding day all the more precious, beautiful, and impressive. 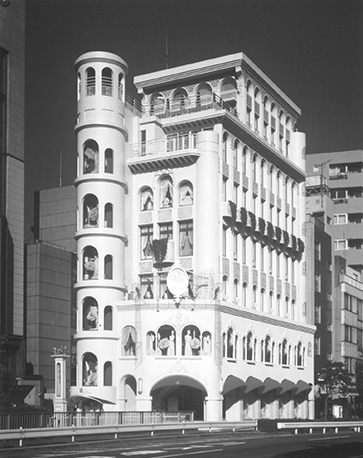 A white castle with an elegant rococo look, where visitors can make their dreams come true, is located near to Roppongi and Aoyama. 1 min. from Exit 3 of Nogizaka St. on Chiyoda Line. Open from 11:00a.m. to 7:00p.m. Please make your reservation from the contact page and visit the shop closest to you. Check-in at our reception desk to have our advisors guide you to your dress. 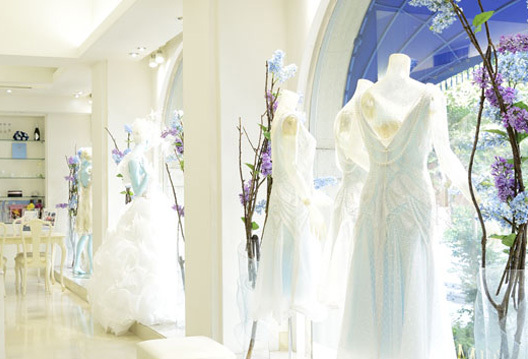 Our advisors will help you select just the dresses you seek. Try them on to refine your search. Up to the wedding, customers meet with our advisors as many times as necessary to find the right costumes and adjust them to the perfect fit.